The “Shiva Hypothesis”, in which recurrent, cyclical mass extinctions of life on Earth result from impacts of comets or asteroids, provides a possible unification of important processes in astrophysics, planetary geology, and the history of life. Collisions with Earth-crossing asteroids and comets ≥ a few km in diameter are calculated to produce widespread environmental disasters (dust clouds, wildfires), and occur with the proper frequency to account for the record of five major mass extinctions (from ≥ 108 Mt TNT impacts) and ~ 20 minor mass extinctions (from 107–108 Mt impacts) recorded in the past 540 million years. Recent studies of a number of extinctions show evidence of severe environmental disturbances and mass mortality consistent with the expected after-effects (dust clouds, wildfires) of catastrophic impacts. At least six cases of features generally considered diagnostic of large impacts (e.g., large impact craters, layers with high platinum-group elements, shock-related minerals, and/or microtektites) are known at or close to extinction-event boundaries. Six additional cases of elevated iridium levels at or near extinction boundaries are of the amplitude that might be expected from collision of relatively low-Ir objects such as comets. The records of cratering and mass extinction show a correlation, and might be explained by a combination of periodic and stochastic impactors. 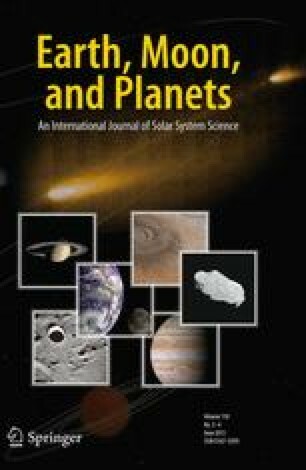 The mass extinction record shows evidence for a periodic component of about 26 to 30 Myr, and an ~ 30 Myr periodic component has been detected in impact craters by some workers, with recent pulses of impacts in the last 2–3 million years, and at ~ 35, 65, and 95 million years ago. A cyclical astronomical pacemaker for such pulses of impacts may involve the motions of the Earth through the Milky Way Galaxy. As the Solar System revolves around the galactic center, it also oscillates up and down through the plane of the disk-shaped galaxy with a half-cycle ~ 30±3 Myr. This cycle should lead to quasi-periodic encounters with interstellar clouds, and periodic variations in the galactic tidal force with maxima at times of plane crossing. This “galactic carrousel” effect may provide a viable perturber of the Oort Cloud comets, producing periodic showers of comets in the inner Solar System. These impact pulses, along with stochastic impactors, may represent the major punctuations in earth history. also at NASA, Goddard Institute for Space Studies, 2880 Broadway, New York, New York 10025.